Because of the differences in French inheritance law which relate to procedures applying to the succession to French property on death of an owner from those which apply to UK property, we generally advise anyone buying property in France at the same time to make a separate French Will (which deals only with your French property) in the French language. Barney & Company as Anglo French lawyers can do this for you. This will make it easier, when a death occurs, for the succession to your French property to be settled and which can take place irrespective of whether your English estate has also been settled by taking out a grant. Making a new separate French Will necessitates you making a new Will relating only to your non-French property, repeating if that is you wish, the terms of your existing Will in respect of your non-French property. Sometimes the entrenched French rules of succession under French inheritance law can be accommodated by making appropriate changes to your existing UK Will to enable equality between those whom you wish to benefit on your death. At the same time as you make a French Will, we can advise you of the intricate matters relating to the necessary adherence to the French rules of succession under French inheritance law to the legal rules of succession under French inheritance law to which testators are required to adhere in respect of French property, to enable the terms of your Will to be recognised under French law. These rules prevent an owner of any French property on his or her death leaving the property to anyone they like unless it is in accordance with the rules under French inheritance law. It usually comes as a great surprise to UK individuals that they are not able to leave their property to whomsoever they wish! As stated above, the French rules of succession under French inheritance law are particular points of difficulty if you or your spouse or partner have any child (including one born out of wedlock) by a previous relationship. 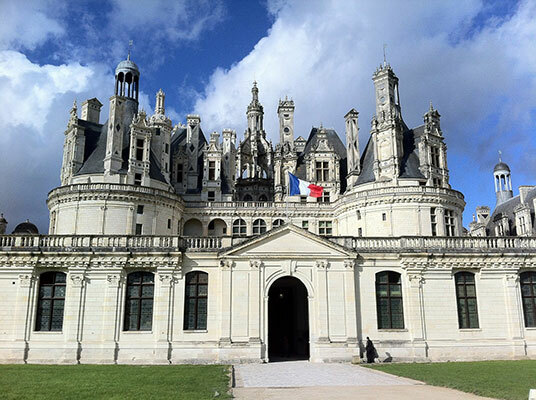 These rules of French inheritance law are a minefield for the unwary. Under French law the succession to your French property and any French inheritance tax paid (or declared if payment of the tax due in respect of the property is to be paid by instalments) within 6 months of the death occurring. If you only make an English will which has to be admitted to Probate in the English Probate Registry, this may cause a delay in settling the succession to the French property and cause the payment of additional interest and fees in France. Making a French Will can avoid this. One area which is of great importance, as far as French inheritance law is concerned, is if a couple own a property “en indivision” (which is the normal way the Notaire deals with the purchase) and either has a child or children which are not the issue of both of them. In that event, on the death of one of the parties, a minimum percentage of the deceased owner’s share has by French inheritance law to be left to his or her own children and French inheritance tax paid on the legacy . This can cause significant problems when a couple who have both been married or in a relationship before and either one or each has a child or children by the previous marriage or relationship. If in such a case the transaction is not dealt with in the best way possible, consistent with the wishes of the parties, the amount of French inheritance tax payable can be greatly and unnecessarily increased, such that the amount of such tax could increase to many times more than if the best advice had been taken and followed. Each such case has to be dealt with on an individual case by case basis to find the best solution for those particular circumstances, consistent with the individual wishes of the buyers. There are several different ways in which you can own the property and we will consider with you the most appropriate way which fits your particular circumstances because owning the property “en indivision” may not be best for you, as client, in every case. If a death occurs of a UK national owning a property or a share of a property in France, we can also assist in connection with the intricacy surrounding the transmission of its legal ownership. 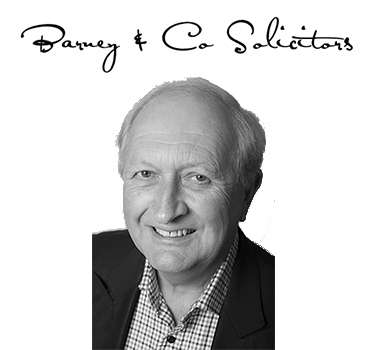 UK residents will see that when they are considering making a purchase of a French property or having any dealings with regard to it, the importance of seeking advice from Anglo-French lawyers familiar with French law (as Barney & Company are), as often documents which are drawn up by a Notaire without recourse to such advice can cause them problems relating to UK taxation law. You will see from the above that buying and owning a French property is very different from buying or owning a UK property. That situation is often not assisted by the usual French system of having the property transfer done by just one lawyer, the Notaire, as opposed to the UK system, where each party is represented by their own lawyer who can protect their client’s interests independently.